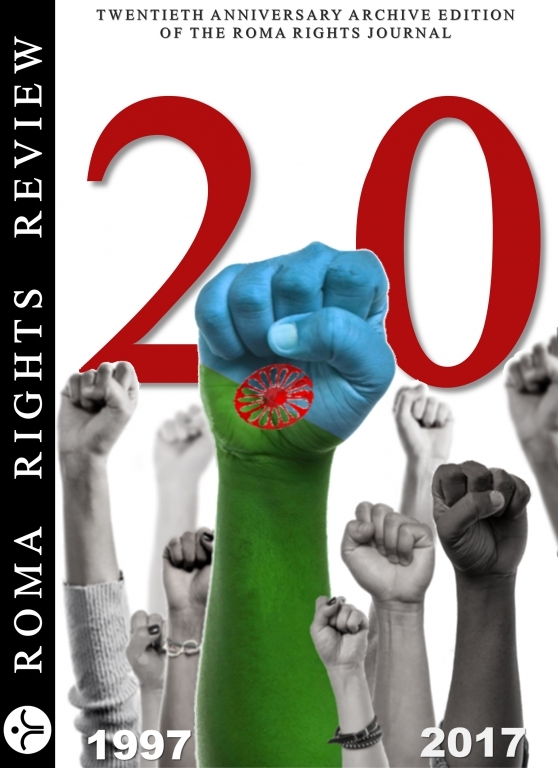 20 years of Roma Rights: the anniversary archive issue is out today! Twenty years later, it’s a pleasure and a privilege to introduce the Anniversary Issue of Roma Rights. As editor, it’s been a pleasure burrowing through the archives, combing through every article from every issue of Roma Rights over the last two decades – and selecting segments from scores of contributions from Roma and pro-Roma activists, academics, experts, lawyers – to provide readers with a vivid reminder of how histories are made. For what emerges from these pages is a very pluralist cluster of narratives and perspectives covering two decades of a rights-based struggle for Roma emancipation. It’s also been sobering to revisit trials and tribulations, to read accounts of cruelties committed against Roma in times of war and peace, in dictatorships and democracies, accounts of forced migrations and coercive sterilization, decades of children being taken from their parents to get a sense of just how deep runs the poison of antigypsyism in 21st Century Europe. But there is also much to celebrate, the long fightback against injustice in local, national and European courts, in rundown neighbourhoods, grim towns and dusty villages, in the corridors of Brussels and Strasbourg; the stirring accounts of the relentless struggle to combat antigypsyism and close the gap between judgments and justice for Europe’s Roma, written by dedicated rights activists who have remained undaunted by the knowledge that this particular struggle will continue for a long time yet. I’d like to thank Jonathan Lee for being the other half of the editorial board, and for designing the cover; and big thanks to Dzavit Berisha for his marathon work in layout and design.